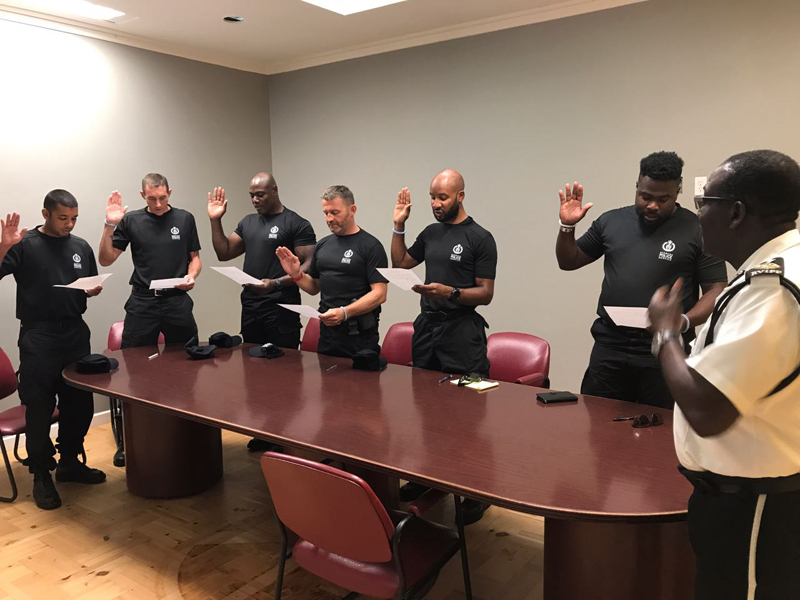 Six officers from the Bermuda Police Service — Sgt D. Glasford, Constable D. McHugh, Constable G. Philips, Constable C. Rodrigues, Constable J. Brassington and Constable C. JnPierrre — embarked upon a three week mission to the British Virgin Islands to provide support to the policing operation on the island following Hurricanes Irma and Maria. A police spokesperson said, “On Saturday, six officers from the Bermuda Police Service embarked upon a three week humanitarian mission to the British Virgin Islands to provide armed support to the policing operation on the island following Hurricanes Irma and Maria. What a waste of manpower. These guys are just going to show off. There are thousands of fellow officers in the region who can assist. Is that Lewis Hamilton on the left!!? Congrats Lewis on winning the Championship!